Particularly relevant in critically ill patients. We also know that low serum albumin levels, commonly found in the critically ill, may be associated with worse outcomes. So this would seem good rationale to infuse albumin, right? High cost relative to alternatives. Albumin solutions have been in use clinically since the 1940s, where they was used successfully in multi-trauma and severe burns patients. The first rumblings about its usage can be found in war records from World War II. The first case series of seven very severely burned patients treated with intravenous administration of human albumin after they had been injured during the Pearl Harbour attack their use has become the subject of criticism and debate in more recent years. The problem is, there are no definitive randomised controlled trials (RCTs) demonstrating any outcome benefit in heterogeneous groups of critically ill patients, therefore its use is supported by evidence in only some patient populations. Hyperalbuminaemia (defined as serum albumin concentration >50 g/L) is really a ‘pseudo situation’, caused in the main, by severe dehydration. Increased capillary permeability leading to redistribution from intravascular space to interstitial space (previously called third-spacing)….let’s not get started on the third space! What about the critically ill patient? One might wonder which particular functions of albumin are actually important in the critically ill patient. There is no doubt that the oncotic properties of albumin play a crucial role in regulating volaemic status, particularly in conditions where this is very often deranged. However, in acute conditions such as sepsis and acute respiratory failure, the secondary functions of albumin are of equal importance. Most pathological conditions in the critically ill are characterised by high oxidative stress. Albumin neutralises toxic oxygen radicals and nitrite peroxides. Furthermore, albumin may also neutralise the vasodilating effect of nitric oxide, which could be considered the most important mediator altering vascular tone in sepsis. Finally, many clinical disorders on the Intensive Care Unit are characterised by metabolic acidosis. In this instance, the presence of albumin helps to minimise wide variations of pH, particularly in the extravascular space where albumin is the only protein with discernable buffer action. There is a clear association between albumin level and severity of the underlying insult. The real question is whether the relationship between hypoalbuminaemia and mortality is a simple association, or a cause-effect relationship? If the latter is the case, what is the best cure? Human albumin solutions are used for a range of medical and surgical problems, particularly in burns and to volume replace in some other often controversial situations. We have all seen it being used on the gastro wards, particularly in patients with liver failure of varying degrees (perhaps more evidence based). However, when it comes to treatment of shock and other conditions where restoration of blood volume is urgent, albumin sits in a controversial seat. Human albumin solutions are expensive – twice as expensive as hydroxyethyl starch (HES), and 30 times more expensive than crystalloids such as sodium chloride or Ringer’s lactate (CSL). So, is its usage justified? Does it benefit patients…the meta analyses? 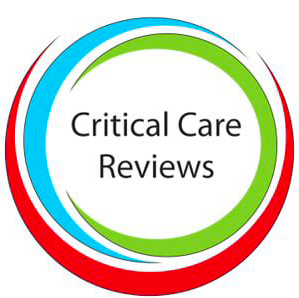 In order to assess the effectiveness and safety of human albumin solutions in managing critically ill patients, a systematic review of randomised controlled trials was conducted by the Cochrane team in 1998 (last updated in 2011). The meta-analysis (published in the BMJ) included 32 trials and a total of 1,419 patients, and showed among patients with surgery or trauma-induced hypovolaemia, no difference in mortality between treating the patients with albumin or crystalloids. Furthermore, it showed that patients with burns who were treated with albumin actually had a higher mortality rate compared to those treated with crystalloids! For hypovolaemia the pooled relative risk of death following albumin administration was 1.02 (95% CI 0.92 to 1.13). This estimate was heavily influenced by the results of the SAFE trial – about 75% of the weight. The pooled relative risk of death with albumin administration was 1.05 (95% CI 0.95 to 1.16). The Cochrane report influenced practice rapidly around the world, especially the UK, where the use of albumin decreased substantially. However most of the trials were small; and in some of the trials, allocation concealment was inadequate. Consequently, it is possible that more severely ill patients were preferentially allocated to the albumin treated group, accounting for the increased mortality risk in that group. So the results should be interpreted with caution. Applying similar selection criteria, another meta-analysis was published in 2001 (Wilkes et al), concluding that albumin administration was safe, although it had no effect on global mortality. Finally, a further meta-analysis (which included 9 prospective randomised clinical trials) on critically ill patients with hypoalbuminaemia, was published in 2003 (Vincent et al), mentioned and linked above. It showed a strong, (but not statistically significant), trend in favour of albumin administration. However, it showed a statistically significant correlation between rate of complications and the plasma level of albumin. These meta-analyses produced completely opposite and controversial results – the first appeared to be against, the second neutral and the third one in favour! The SAFE (Saline versus Albumin Fluid Evaluation) trial was a breath of fresh air in its attempt to resolve the previously contradictory findings. Involving 16 ICUs in Australia and New Zealand, this was a prospective, randomised, double-blind study comparing 4% albumin solution and 0.9% saline for volume replacement in critically ill patients with hypovolaemia. Although the SAFE study had the potential to overcome the many limitations of the previous meta-analyses (enrolment of adequate number of patients, accurate randomisation process, uniform methodology), some of the problems remained, particularly in the study design. The study population was heterogeneous, the degree of the severity of illness was moderate, and the amount of fluid administered for fluid replacement was relatively modest. The greatest contribution from the study came from the subgroup analysis that was performed. Although patients with trauma (particularly head injury) treated with albumin tended to have a higher mortality rate (P=0.06), those with severe sepsis tended to show a better survival, although this did not reach statistical significance (P=0.09). The ALBIOS investigators investigated whether administration of albumin 20% Vs none had an effect on 28 day mortality among patients with severe sepsis or septic shock. The aim was to maintain serum albumin level ≥3 g/dL (≥30 g/L). Both groups were treated with crystalloids as needed. There was no difference in all-cause mortality at 28 days and 90 days. 31.8% vs. 32.0% and 41.1% vs. 43.6% respectively. The patients in the albumin group had a shorter duration on vasopressors/inotropes (3 vs. 4 days P=0.007) and a shorter time to target MAP (after hour 6: 79 vs. 77 mmHg (P<0.001). The albumin group had higher coagulation and liver dysfunction rates (0.65 vs. 0.50 and 0.28 vs. 0.20, respectively). A subgroup analysis of the secondary outcome of 90 day all-cause mortality demonstrated a survival advantage for albumin therapy in those in septic shock at enrolment. However, this finding should be used for hypothesis-building purposes given its post-hoc nature. Other issues; the albumin concentration differed from that used in the SAFE study, the lower mortality at 28 days may have resulted from under-powering of the study and the minority of patients were enrolled during early severe sepsis. But what about those with oedema and low albumin levels?! Although clear evidence derived from randomised clinical trials is still lacking with this regard, there may be a possible clinical benefit of albumin administration in patients with marked hypoalbuminaemia, peripheral oedema, and in serious need of water elimination, especially in their recovery phase after acute volume replacement. If we throw in crystalloids for volume replacement, we are going to need a greater amount of fluids in order to reach the same volume effect of albumin or other synthetic colloids. This results in increased risk of peripheral oedema and weight gain. On the other hand, artificial colloids may alter coagulation, essentially because of absorption of the factor VII/von Willebrand factor complex, with consequent altered platelet aggregation and may lead to an increased risk of developing acute renal failure, as recently observed. Also, the pathophysiological rationale for intravenous administration of albumin during the latter phase may be more solid than that for administration during the acute phase. It is within the acute phase that permeability of the capillary barrier is at its greatest. The albumin infused in this situation is, therefore, more likely to “remain” within the intravascular space than usually occurs during the acute phase. It doesn’t fit with any RCT within this area (there are none), but we all know in practice we may notice a difference anecdotally. It just lacks a large trial to give it clout! This is so often the way in clinical medicine. After all, there is a solid pathophysiological rationale as to why it SHOULD work. The intravascular plasma concentration of albumin may be critical during the recovery phase, as it accounts for about 80% of the entire oncotic pressure of the intravascular space. It cannot be argued against the lack of evidence to suggest any mortality benefit to the administration of human albumin to critically ill patients, when compared with other IV fluids such as saline. There is certainly no cost benefit either. But, the question remains…is the provision of such a small amount of this compound really that harmful in the grand scheme of a patient’s journey? Afterall, we are not administering it as a part of routine, nor are we giving it in excessive quantities. So, with reasonably robust physiological remit and in the non-acute phase of volume shift in sepsis, or other non-septic states, perhaps it could be helpful to the boggy patient requiring water elimination from the peripheral tissues? Let’s not give it the gelofusine treatment just yet…keep it out of the bin and on the formulary, just for those specific moments?